Before you start worrying about where or how you are going to start driving traffic to your blog, you first need to keep your focus on the content your going to be writing up. First figure out what kind of demographics you are going to be targeting and the niche you’ve subscribed your blog to, and then come up with good and unique content that will satisfy your visitors. Keep them interested with new and fresh content. That of course will require you to write out a couple of blogs a week to keep your user base from getting bored. An active blog with fresh daily content projects trust, and will keep your visitors from going elsewhere. 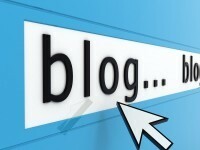 Search Engine Optimization, or SEO, is vital for the future success of your blog. One of the easiest ways to get traffic to your blog is of course to go and advertise your blog on search engines and various other social media and display sites on the web. But if you are on a budget and do not have the funds or option to go for paid advertising, than Organic Search is what you need. Organic Search is basically ranking high enough on Google and other search engines where your blog lists in a prominent spot (usually on the first page) when a user searches for certain keywords. This is free advertising, and in most cases, more effective than paid advertising, because Google thinks your content is relevant enough to rank you well, and this in turn will creates more trust with the user, and more likely that they will give your Blog the attention it deserves. In order to achieve good SEO, think about what category your blogs will be under. Let’s say you will be writing mostly about the tech industry and new gadgets. Now devise a list of all possible keywords (write them down) that you think users will search for on Google. Next step would be to write content that contain these keywords. Do not put irrelevant keywords that have nothing to do with your blog. Google will punish you for this and will de-rank you. Make your blog relevant and be mindful what what keywords you use. This will determine how well your blog will rank, and whether or not users will be able to find you. So you got your blog up and running, got some great content in there that are search optimized, and now of course, you need to maintain and grow your traffic. One great way to retain your current visitors is via opt-in emails. Give your visitor the option to sign up for a weekly newsletter or for when a new blog is published. Many users will not mind subscribing their email address if they think your blog is interesting enough. Collecting these email addresses is a great way to stay in touch with your visitors whilst keeping them updated on new blog postings. By keeping your visitors engaged, and also bringing fresh new traffic constantly via your optimized blogs, you will see that not only will your traffic go up, but also your income as well.